The Tuckaway Tavern & Butchery | What The Tuck Is In The Cellar! What The Tuck Is In The Cellar! If you’ve been by the Tuckaway Tavern and opened our drink list then you have, no doubt, seen our cellared beer collection. For those new to cellared beers, these are carefully picked beers by our Chef Bobby Marcotte that have passed the muster to be aged in our beer cellar. 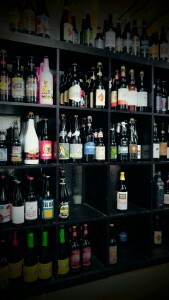 You can’t age just any beer, and that’s what’s make our selection so special. Years ago when I stepped out of my beer box (e.g. Budweiser, Corona, Heineken AKA Green Water) I was completely put off by a sour beer I chose based off the artistic label alone. As I wondered why would anyone pay to drink this, it wasn’t until years later that I was introduced to Birthday Suit by Uinta Brewing, a sour that completely blew me away. I’ve learned over time the importance of the the right style beer from the right brewer. Picking cellared beers are no different. They tend to mellow out, hoppiness dissipates and booziness turns to sweeter notes. Picking the right beers to age is no easy task! Check out some recents ones released after a long stint in the cellar … Four year verticals of Bourbon County Stout by Goose Island, Bigfoot by Sierra Nevada and Founders KBS. These are great beers to share with friends, and would go great with almost anything on our menu. 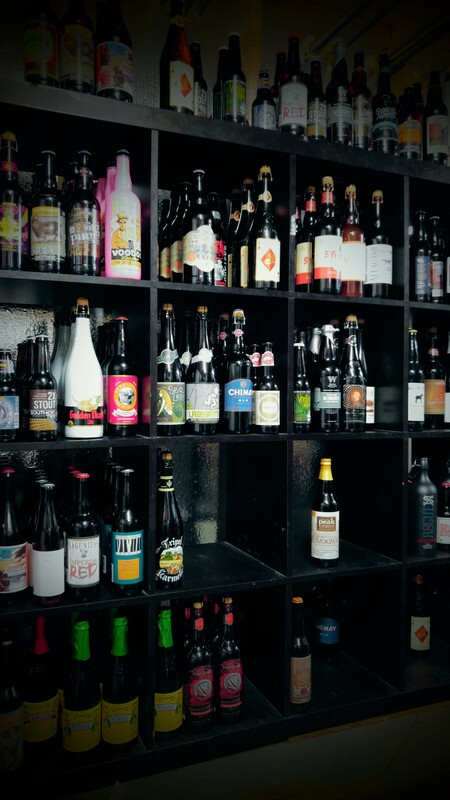 So next time you’re in to dine with us, get out of your beer box and into our cellar!